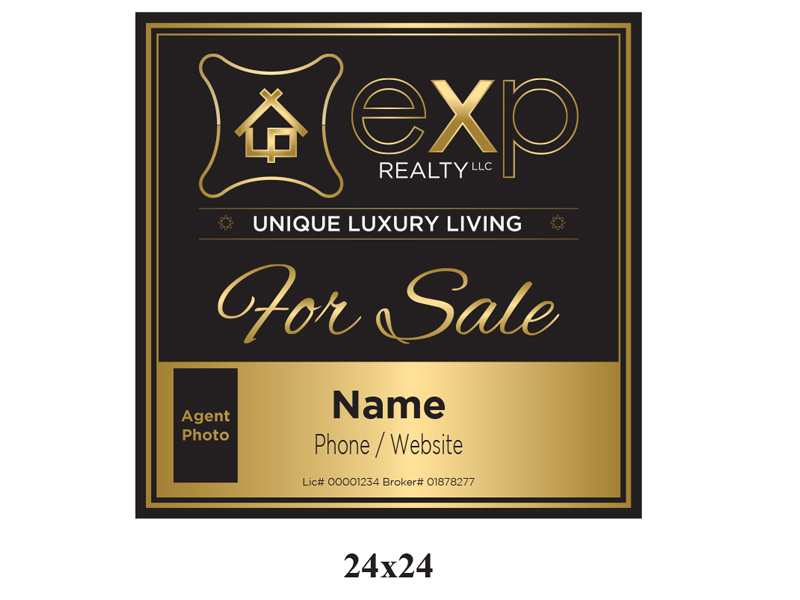 Send us your details for your real estate signs! 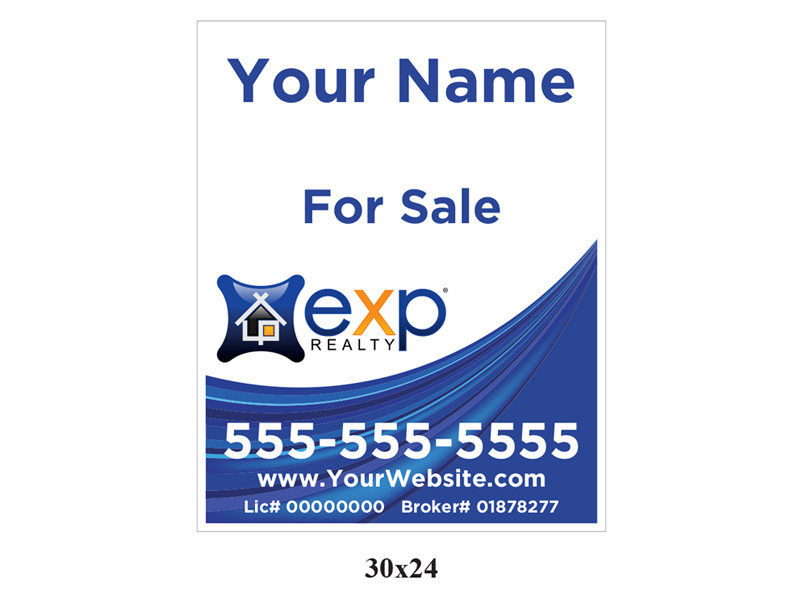 Paradise Signs prints high quality signs for your home listings. 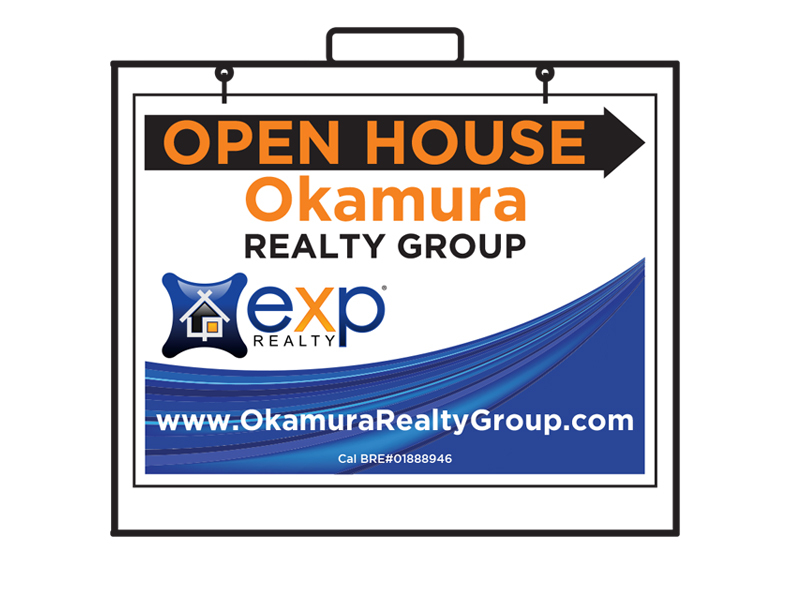 Catch the eyes of potential buyers and guide them with clean, impressive signage most importantly, on time. 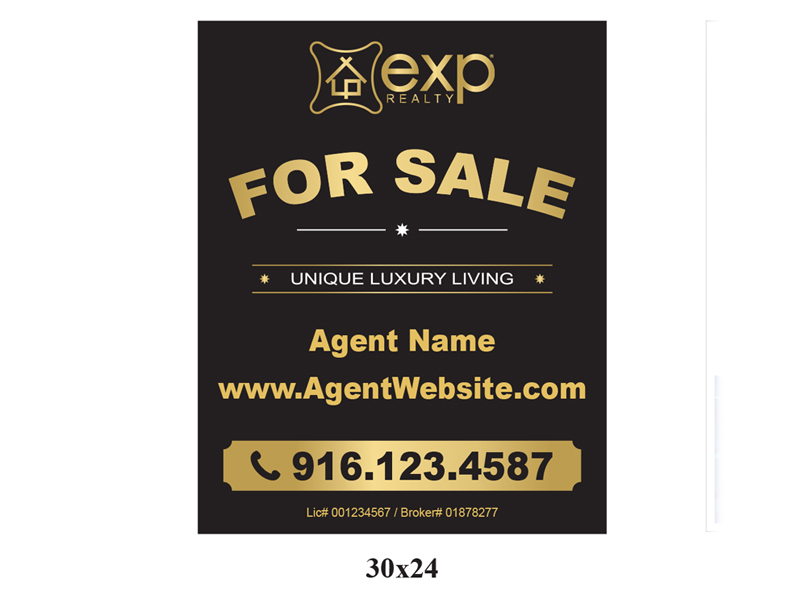 We have exp black and gold layout and, in contrast, their blue and orange wave styles. 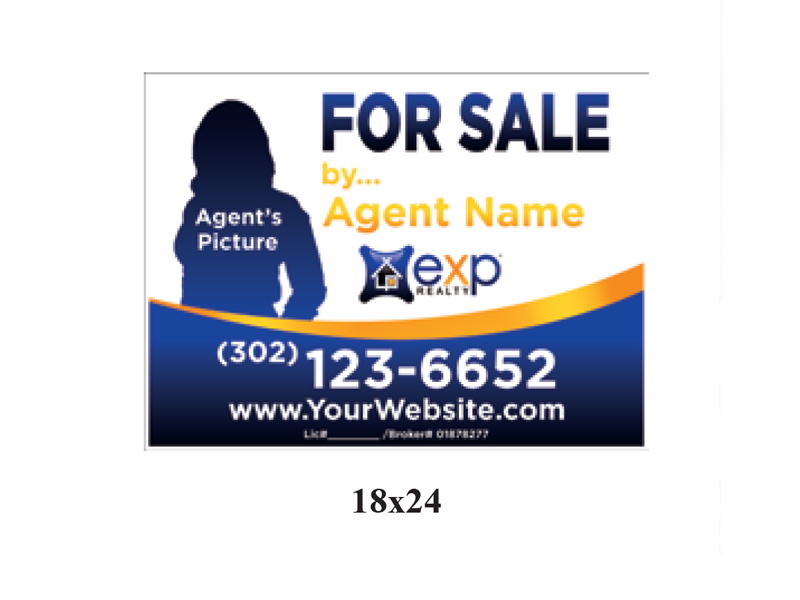 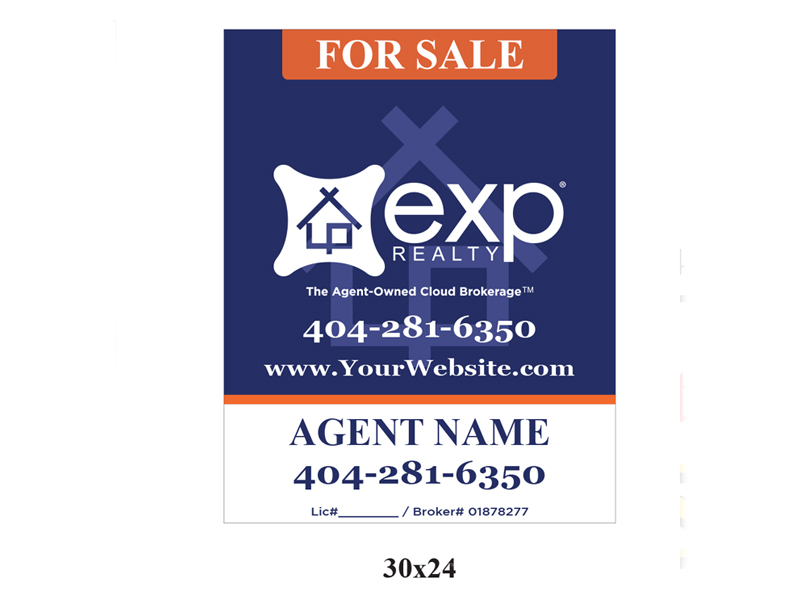 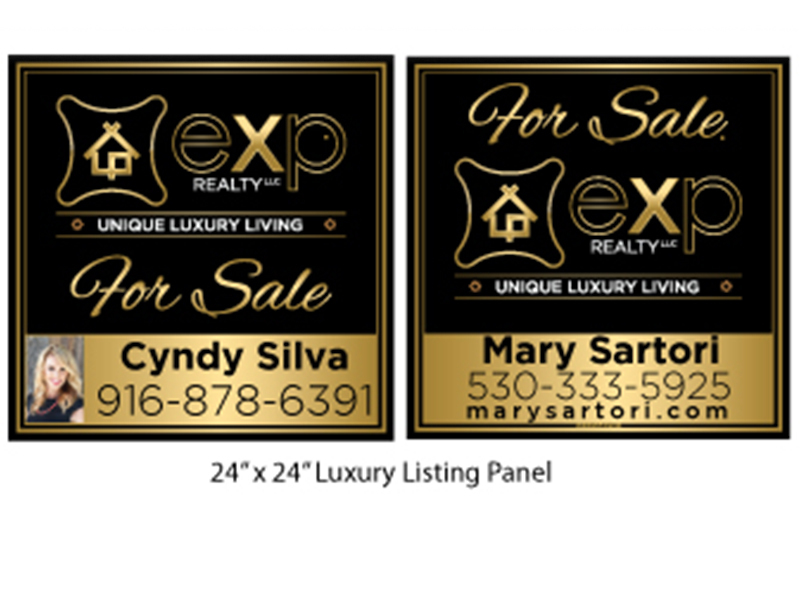 EXP Realty listing for at Paradise Signs! 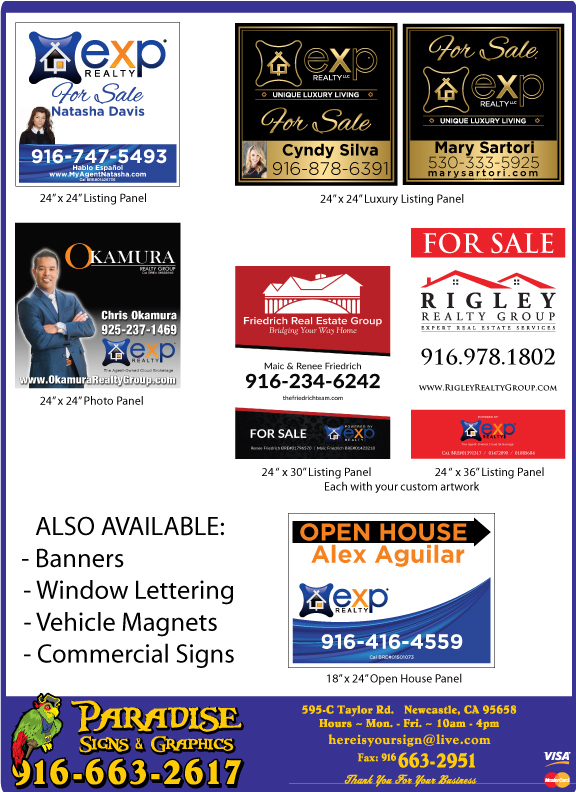 Fill out our sign order forms below. 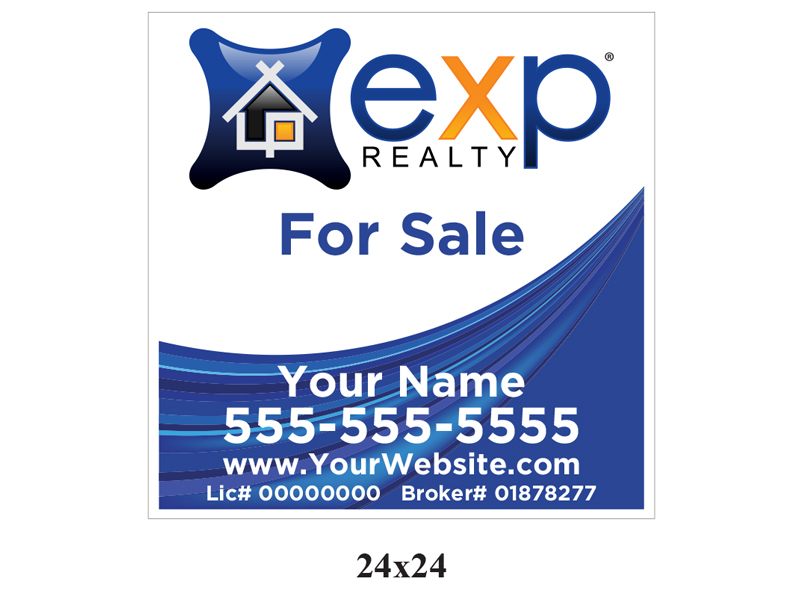 Please have a high resolution portrait for your photo templates.